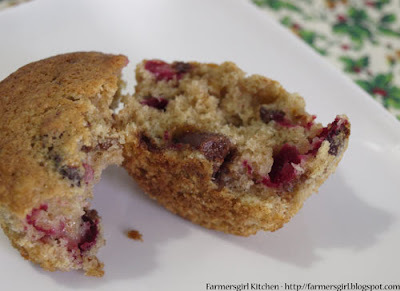 Farmersgirl Kitchen: Choc-ful Christmas Muffins! Muffins are such great little cakes, they are easy to make and you can pack them full of delicious things. Muffins also make great gifts and are always appreciated at bake sales and Christmas Fairs. 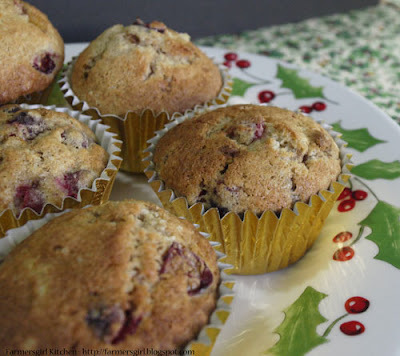 These muffins are full of Christmassy flavours: cranberries, orange, cinnamon, nuts and chocolate. 1. Mix the chopped cranberries with the 50g caster sugar, set aside. 2. In a mixing bowl, combine the flour, cinnamon, baking powder, salt and the 200g caster sugar. 3. Cut in the butter or margarine and rub in until it resembles coarse bread crumbs. 4. Combine the eggs with the milk and stir into the flour mixture until just moistened, do not over mix. 5. Gently fold in nuts, orange peel, cranberries and chopped chocolate. 6. 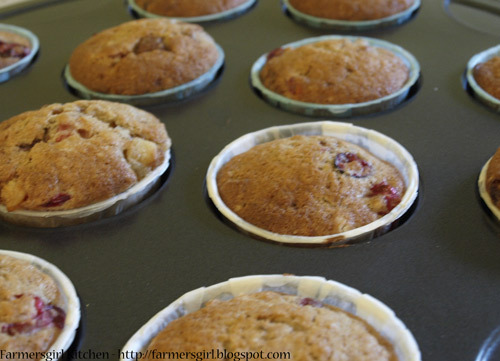 Fill paper-lined muffin tins two thirds full. 7. Bake at 190C for 20-25 minutes. 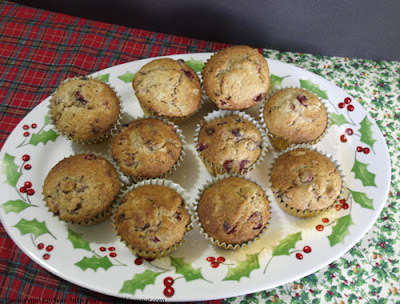 Baking is so much easier when you have the right equipment, so when I was asked to review some items from the Dunelm Mill Christmas Collection I chose items that would make baking and giving muffins so much easier and would also make great gifts for friends and relatives who like to bake. I couldn't resist this gorgeous Red Mason Cash 'Let them Eat Cake' baking bowl with it's crown and 'Let them Eat Cake' embossed in the side! It cheers me up just looking at it. 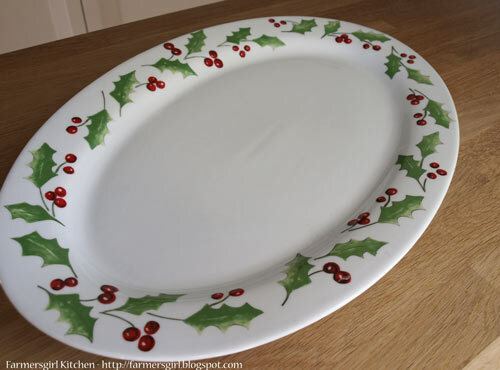 Then there is this Holly and Berries Collection Oval Platter, perfect for presenting any kind of Christmas fare but particularly good for cakes and muffins. Transporting muffins can be a bit precarious, even more so when they are decorated, so this Portable Muffin Set is ideal and would be a welcome gift to anyone who bakes. 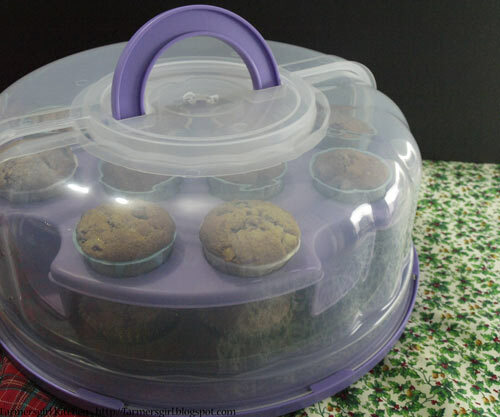 It's so cool, the carrying handle folds flat and the 'doors' slide round to open and close, you also get a 12 cup round muffin tin (on the bottom) and if you use both layers you can carry 24 muffins secured in their little cups. If you have muffins or cupcakes which are decorated and sit up high you might just want to use the one layer. The final item I chose was a bit of fun, a Novelty Santa apron which really appealed to me. What is it they say? Hat is model's own - hee hee! I will be modelling this little number on Christmas day and offering my guests Christmas cakes, cookies and muffins on my holly decorated platter. Apologies for the dodgy pink slipper boots! And these muffins really are 'Choc-ful' of deliciousness, so I'm entering them for Christmas Tea Time Treats, the challenge run by Karen at Lavender and Lovage and Kate at What Kate Baked. 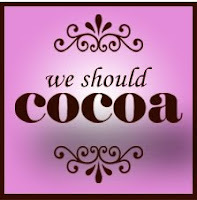 This month Kate is hosting and the theme is Chocolate. Fortunately, this bake also contains 'Cinnamon' which is the ingredient to be combined with Chocolate for the We Should Cocoa blog challenge run, and hosted this month, by Choclette at Chocolate Log Blog and Chele at Chocolate Teapot. I received these products for review from Dunelm Mill, I was not required to write a positive review and all opinions are my own. Thanks Karen, I do love to dress up! 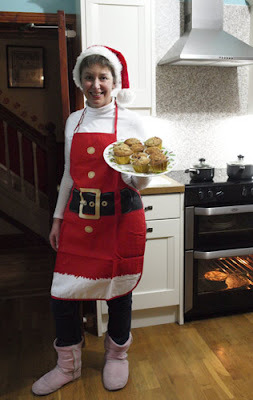 Loving that apron - and on yes, the muffins too! 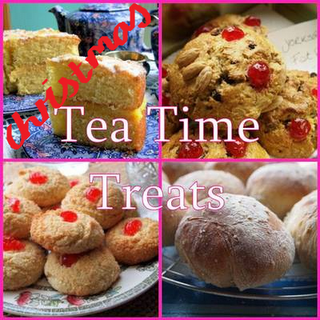 Great mix of flavours going on there - season's greetings!! Oh and lovely looking muffins too! Janice these sound amazing! Chocolate and christmas all in one muffin, perfection! Goodness Janice, your Christmas has come early. 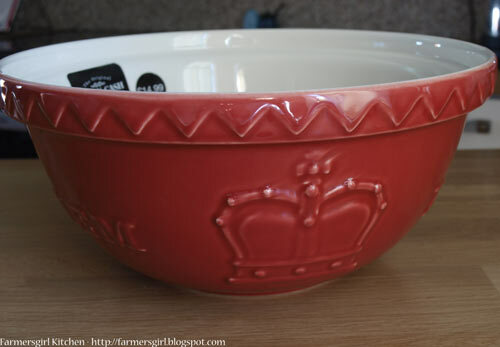 Love that red bowl, but like Jac, I don't know where I would put it. 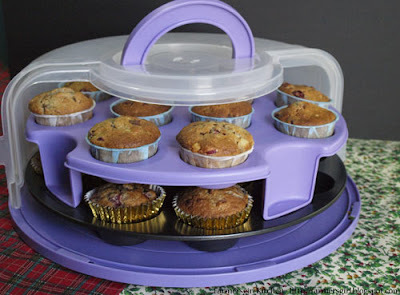 the muffin carrier looks jolly useful too. Your muffins sound delicious. Thanks for entering them into WSC. 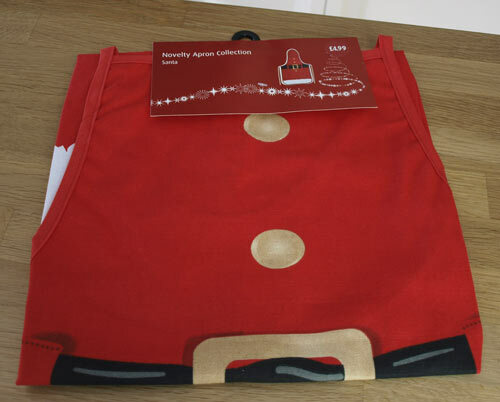 That is such a brilliant photo of you in the festive apron! What a lovely set of goodies to receive and perfect to bake such festive and flavorsome muffins - I can just imagine waking on Christmas Day to the aroma of these baking! A delicious sounding muffin - I can imagine the fresh cranberries would cut the sweetness really well - yum!